Burgoynes Dubai is pleased to announce a move to new offices within the Indigo Icon tower, Cluster F, Jumeirah Lake Towers. The business remains within the DMCC Freezone. 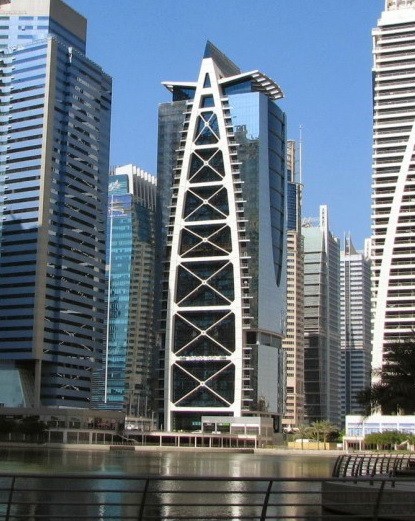 Three years after opening, the Dubai office continues to undertake fire and explosion investigations on behalf of a wide range of clients, including loss adjusters, marine surveyors, insurers and reinsurers, law firms, local business and protection & indemnity clubs, from across the MENA region and further afield. With associated offices in the UK, Hong Kong and Singapore, Burgoynes is able to offer a rapid global response to incidents both on land and at sea. Land-based fire and explosion investigations. Investigation of fires and explosions on board ships. Provision of advice during live fire incidents at sea. Investigation of self-heating incidents in marine cargoes. Advice on the loading of dangerous cargoes, such as direct reduced iron. Investigation of chemical plant incidents and refrigeration failures. Assessment of personal injury claims. Provision of expert evidence in a range of litigation cases. Both Dr Daniel Jackson and Dr Russell Cooper are available to give talks and demonstrations on the type of work that Burgoynes carries out, and are happy to visit clients wishing to gain a greater understanding of the role that forensic investigations can play in the life of a claim.